How Much is a Buddy Lee Advertising Doll Worth? Buddy Lee dolls have quite a following with collectors. Ardent doll lovers are often drawn to his cutesy charm, while others love the advertising aspect of this mascot for Lee jeans that debuted in the 1920s and was made for decades thereafter. These little guys were made for the H. D. Lee Company Inc., the makers of Lee jeans, and they are marked "Buddy Lee" on the back of each doll. Original clothing will also have a Buddy Lee tag on it. While the attribution is not positive, some doll collectors believe that these were made by the Gem Toy Company. Gem Toy made a line of dolls called Chubby Kid that look just like Buddy Lee dolls. The only difference is they don't have a Buddy Lee mark or the Lee branded clothing, so there is a definite basis for the attribution. There is no evidence that Lee ever marketed a female version of this doll called Betty Lee. One or more examples of a doll with both Buddy Lee and Chubby Kid marks have been found with an original wig and female attire. Avid collectors believe that these are anomalies made by Gem Toy Company, but they were not sold to Lee, according to DollReference.com. A plethora of these popular dolls was sold to consumers from the 1920s through the 1960s. They turn up for sale frequently today, so they’re not considered to be uncommon or rare by any means. What would be uncommon is to find one in excellent condition, especially an early composition example. Composition dolls from that era tend to craze, just like glazed antique porcelain wares, especially when they’re not stored at proper temperatures over time. This causes the surface layer of their “skin” to crack and peel away eventually. This damage is very detrimental to the value, especially when it occurs on the face. Later plastic versions can often be found in better condition, but they’re not quite as valuable unless they’re wearing a hard to find outfits like a uniform advertising a brand other than Lee jeans such as Pepsi-Cola, Phillips 66, or Coca-Cola. If the clothing is in excellent condition, and often it’s not, that’s a bonus, too. Missing components such as belts, bow ties, hats, or even hat bands all bring down the value of a Buddy Lee doll as well. The moral of this story is that condition severely impacts the value of Buddy Lee dolls and their clothing, so if yours is in less than perfect shape, you most definitely have to consider that when pricing it for sale or valuing it for your records. You also need to research how much your particular version of the doll is worth based on the desirability of his clothing and accessories. When comparing two Buddy Lee composition dolls in excellent condition, one wearing a 1930s football uniform might be worth several thousand dollars to the right collector. On the other hand, one wearing a complete cowboy outfit from the 1940s might bring several hundred in the right market. There can be a wide delta in value depending on which clothing the doll is wearing and the overall condition of the doll. In some cases, there is a rarity factor involved, whereas other times there are just more collectors who want to own that particular style creating demand that drives up the price. 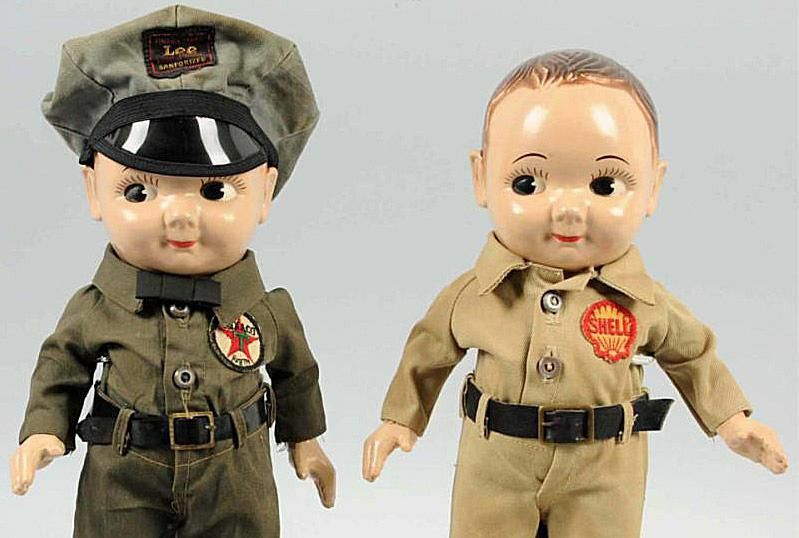 The newer hard plastic Buddy Lee dolls made from the 1950s through production end can be found more affordably priced, especially through online auctions. They usually bring between $50 and $150 depending on the clothing and condition. If you like the look, these can certainly satisfy the desire to add a Buddy Lee doll to your collection without breaking the proverbial bank. Are Old Calendars Worth Anything?